The number of attacks which use email as an attack vector is constantly increasing and it doesn’t look like it’s going to slow down anytime soon. Last year alone, 58% of email traffic was reported as spam, and more worryingly, a fifth of those spam emails contained ransomware. We’re not in the business of scaremongering but these numbers show the need to have a solid email security solution which can stop both spam and malware before hitting the user’s inbox. Here is where GFI MailEssentials can help. GFI MailEssentials is an email security solution designed specifically for SMBs. It differs from similar products on the market because it has a total of up to five antivirus (AV) engines for increased malware protection. It also has an executable scanner for 0-day vulnerabilities as well as an email exploit engine. GFI MailEssentials is also equipped with an HTML sanitizer which removes malicious scripting – which is often hidden – from emails ensuring a solid email security arsenal. Moving on to that dreaded thing called spam, GFI MailEssentials comes packed with 14 modules for spam, scam and phishing together with a dual AntiSpam engine (SpamRazer and GFI Labs). To make sysadmins’ lives easier, some spam management can even passed on to the end user thanks to the spam tag integration in Microsoft Outlook as well as personal whitelists and blacklists. GFI MailEssentials also has a Content Control feature. Incoming, outgoing and internal email content can be filtered. This feature can also act as a method to prevent and control data leakage as the advanced content filtering feature can detect information such as credit cards and social security numbers not just within emails but within attachments as well. What’s new in GFI MailEssentials V.21? The new version of GFI MailEssentials brings new antivirus engines which include Sophos and Cyren, as well as licensing integration via GFI Accounts and an added troubleshooting feature which lets sysadmins directly report any issues within the admin console. GFI is continuously reviewing antivirus technology and following the positive results seen from independent testing, we are confident customers will benefit from better protection thanks to the combination of these powerful AV engines. 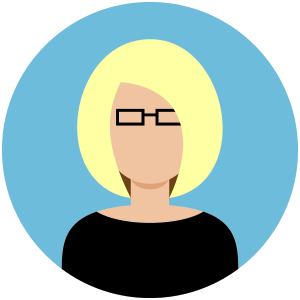 Licensing integration allows users to manage all of their product licenses and licensing updates from one location, whilst the troubleshooting feature simplifies the need to go through different channels to get support. It has been reported that a company would need an average of 41.3 days to resolve a web or email based attack. Make sure all your bases are covered and minimise the probability of email being an attack vector with GFI MailEssentials. Test drive the new GFI MailEssentials today: download your 30 day free trial. 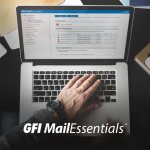 Remember, with the GFI Prime programe, when buying a year subscription to GFI MailEssentials you can get another solution – such as GFI Archiver which complements GFI MailEssentials – completely FREE. Learn more about GFI Prime here. Please inform the Management and Programmers about this!